Abstract: Norse colonists in Orkney contended not only with the islands’ existing occupants, but also with a foreign landscape filled with visible ancient monuments. This paper provides a brief synthesis of the results of research on the landscapes of Viking-Age and Late-Norse Orkney which explored the strategies undertaken by the Norse settlers to re-model their social identities in their adopted environment. 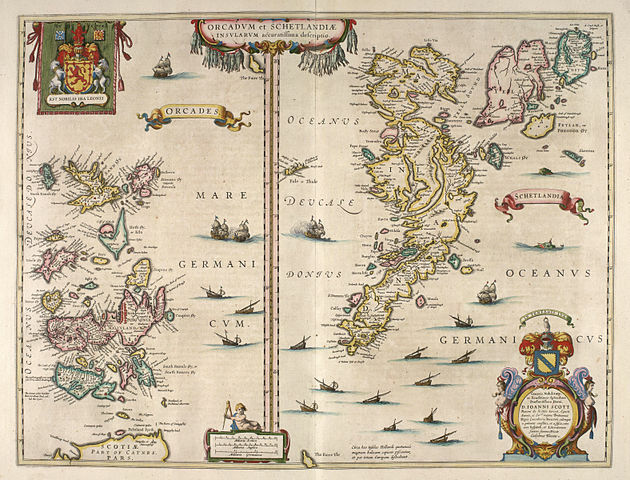 The study focuses on Mainland Orkney between the late eighth and fourteenth-centuries. In two distinct case study regions, the archaeological record for Norse settlement and activity was mapped against the ‘backdrop’ of prehistoric monuments and integrated with toponymic evidence. The studies suggest that integration and continuity at landscape level were important ways of promoting a Norse ancestry on Orkney, based on responses to the new landscape as well as to traditional Scandinavian practice. Late Iron Age sites often informed Norse settlement location, and dwellings were rebuilt over centuries, creating deep sequences of occupation. Physical interaction with Neolithic monuments was more occasional, although they were often integrated into the contemporary landscape through naming and reference. Eventually most of Orkney’s landscape features, including its more ancient monuments, were familiarised, becoming part of the Norse Orcadian landscape. Introduction: Late eighth-century Orkney was a group of islands rich with physical testaments to millennia of previous inhabitants. Standing stones, stone circles and chambered cairns from Neolithic times sat prominently in landscapes littered with barrows, cairns and mounds from the Bronze Age and later periods. Broch settlements from the Middle Iron Age punctuated the region with crumbling stone fortresses which, after the fourth century, gave way to the symbol stones and ‘ﬁgure-of-eight’ dwellings of the Late Iron Age. The latter were still occupied at the turn of the ninth century when Scandinavians, predominantly Norse, came to settle the islands. These hopeful colonists therefore had to contend not only with a native population, but also with a diverse built environment that promoted the endurance of Orkney’s ancient past, to which the Norse had no ancestral claim. This paper explores the concessions made and strategies enacted which enabled the Norse settlers to develop their presence on Orkney such that their legacy remains to this day.